As a comprehensive entertainment corporation, we strive to facilitate synergy and value-added enterprises between our business units and to contribute to both Japanese and global society of the 21st century by bringing dreams and inspiration to our lives. The name "May'n" originated from her real name and consists of her passion and dream to sing "the song that will become everyone's main theme song". Get ready to meet May'n, the female rock vocalist of the new generation, and prepare to be fascinated by her singing skills and powerful voice! The Moe Moe Kyun Maid Café which made the first debuted at AFA, featured talents, who love Japanese Anime, Idols, Cosplay and Figurines, and it is from these pool of talented individuals, that 4 girls with strong personalities were chosen to be part of "Sea☆A": Beryl, Valerie, Wynnie & Estelle! A voice actor from Mie, Japan, Kishio Daisuke's musical activities are remarkable, apart from the popular work of anime, a game, narration, and dubbing foreign film. As a voice actor, he is able to play different roles, such as a cheerful and innocent, androgynous, cool prince, and the heartless villain. HoriPro Inc. - Booth Highlights! As part of HoriPro Inc's participation at Anime Festival Asia, there will be some special surprises at their booth, just for you! Sea☆A "We are DREAM SHOOTERS!!" Limited Edition Event. 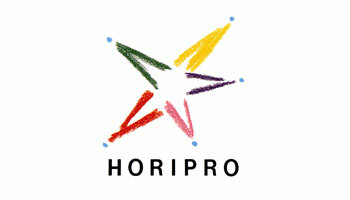 A Main Stage Segment brought to you by HoriPro, one of the major talent agency in Japan, with over 50 years history! 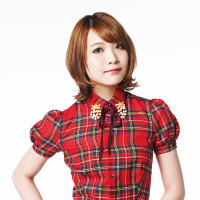 Gracing us on the stage is May'n, the singer of theme songs for titles such as, Macross Frontier, Shangri La, Okami-san to Shichinin no Nakamatachi, Inshitemiru - 7 days of Death Game, Sengoku Basara 2, Valkyria Chronicles 3, Hidan no Aria, Accel World, Onimusha Soul, BTOOOM!, E.X.TROOPERS, who not only successfully completed 34 concerts for her world tour this year, but also successfully hit the top charts with all her CD singles. 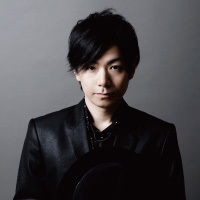 There will be voice acting performance by voice actor, Daisuke Kishio, who performed in many titles, such as Zoido (Bang Freiheit), TYTANIA (Jousselin Tytania), Tegami Bachi (Saji), Vampire Knight (Kuran Kaname), Nura: Rise of the Yokai Clan (Itaku), Fairy-Tale (Roki), Kamisama Kiss (Kurama), ROBOTICS;NOTES (Doto Genki) and dubbing for Glee. Joining us as emcee is Sea☆A, the Anisong idol group originated from Singapore, made their debut in Japan and sang the theme song for popular titles, such as Cardfight! Vanguard, Stormy Night~Secret Friends~, Toriko, Cardfight! Vanguard Asia Circuit. Don't miss this premium stage! 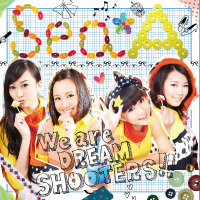 The autograph and handshake events will be held for only purchaser of Sea*A 1st Mini Album『We are DREAM SHOOTERS! !』 You will be entitled to join the photo shooting session for getting 5 copies of the album!! ※One photo together with all 4 members. ※ CD: No limitations on number of copies that can be purchased. ※ Purchase of one copy entitles you to join the handshake event once. ※ Purchase 5 copies and get to join the handshake event 5 times and also a photo shooting session with all 4 members. ※ Please note that there are limited numbers of CD for sale. ※ Please prepare camera or a mobile phone with in-built camera by yourself for the photo shooting session. You will receive a ticket to join a handshake & autograph session of your favorite artist (May'n, Sea*A, or Daisuke Kishio) when you purchase 30 Singapore Dollars worth of merchandise at AFA HoriPro stand. ※$295 for all May'n pamphlets (8 types), you may purchase them at a discounted price of $290 and receive May'n Post Card (not for sale) with her autograph message. ※Purchase all of Sea*A artist goods (towel, can badge, and photograph), and with your own camera, you can take a photo with all members. ※Purchase all of DAISUKE KISHIO artist goods (towel（2 types),Eco bag (2 types), and can badge), and with your own camera, you can take a photo with him.